Warehouse Floor Coatings in Philadelphia, PA | Warehouse Floor Epoxy Philadelphia, PA dev1.bluecoronaclients.com/prestige-floor/ warehouse-floor-coatings-philadelphia-pa/ Prestige Floor Coating offers warehouse floor coatings in Philadelphia, PA. Contact us today for a free estimate! 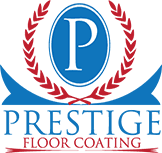 To learn more about how Prestige Floor Coating can help your Philadelphia, PA business with its flooring needs, call us at 443-519-COAT.